As most are aware, American Border Foundation’s crowdfunding strategy for the Border Wall Fund is to deliver money to DHS with which to build a border barrier. On December 17th, 2018 Brian Kolfage started a GoFundMe for a border wall. During the life of the GoFundMe, there were three pieces of legislation proposed to support the notion of crowdfunding the border wall. None of them were destined to pass, especially in present conditions within the House of Representatives. However, they served to cloud the issue of whether it is possible to crowdfund a border wall, and to confuse America about what options are available for private citizens to participate in border wall funding and construction. During the past month, we’ve had innumerable donors who’ve contributed to our organization reach out to us to try to get some clarity regarding these options. We’ve also had at least dozens of other suggestions to our info mailbox that we should “join up” with Mr. Kolfage’s effort, now called We Build The Wall Inc.. While we readily admit we are generally headed in the same direction, now that We Build The Wall Inc.’s plan appears to be reaching maturity we felt it was appropriate to begin due diligence on what his plan entails and explore the possibilities of a partnership with his new organization. The organization that Mr. Kolfage started, We Build The Wall Inc., is a 501c4 nonprofit whereas American Border Foundation is a 501c3. Thus, contributions to ABF are tax-deductible and donations to We Build The Wall are not. Technically, ABF can legally disburse funds to a 501c4 (or vice versa) as long as the funds are used for our charitable purpose and none other. Given that our charitable purpose is to construct a public building or work (e.g. a border wall), it is potentially feasible. We had reached out to Mr. Kolfage several times during the life of the GoFundMe campaign without getting any significant communications in return. Once Mr. Kolfage announced his revised plan (the startup of a C4 company and his aspirations to privately construct a border wall), we set about to explore the possibility of a partnership with this new organization in an effort to support its goal. Prior to We Build The Wall Inc.’s incorporation, we had also identified a different 501c4 known as Border Wall Foundation (operating on http://www.borderwallfoundation.org) that also has plans to attempt border wall construction directly. The concept of a private organization attempting to build a border barrier directly is not a foreign concept to us, and had we believed it advantageous to the our collective goal, we would have accepted an invitation to partner with Border Wall Foundation several months ago. Nothing Mr. Kolfage seeks to undertake appears to be any more informed or significantly different than what Border Wall Foundation had already proposed. The American Border Foundation performed some preliminary research on this particular concept 18 months ago and the team discovered that a more tailored approach to crowd funding a wall on our Southern border would be much more advantageous…and ultimately much less litigious. We identified a direct conduit to legally gift DHS with monies raised by our foundation (ABF) and found that we could expressly stipulate that said monies could only be used for border wall construction. To the favor of those in support of timely securing our border, no Congressional appropriation is required to accept and utilize the funds delivered in accordance with this particular DHS directive and the accord we’ve negotiated with them. 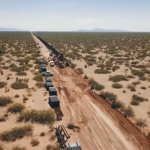 More recently, as an extension of this due diligence, we commissioned an independent third party to explore We Build The Wall Inc.’s efforts to date and the feasibility of their revised plan. We present the results unedited. 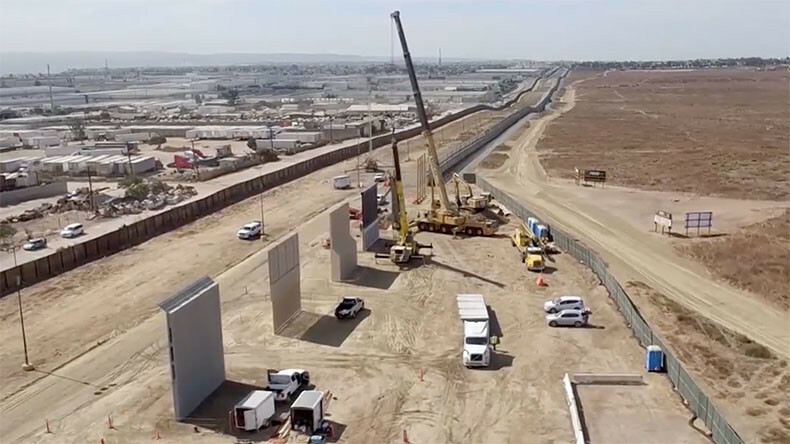 While the outcome may not be what we had hoped, we hope the reader will consider that this is not and was never intended to be an attack on either Border Wall Foundation or on We Build The Wall Inc. but rather, represent a factual analysis of the concept of performing the construction privately rather than the American Border Foundation’s legal method of directly funding DHS to construct it within the scope of existing law, while utilizing their expertise in the coordination of doing so. We welcome your feedback on this research and the many associated projects that the American Border Foundation is spearheading, all of which are in an effort to gain operational control of our borders.